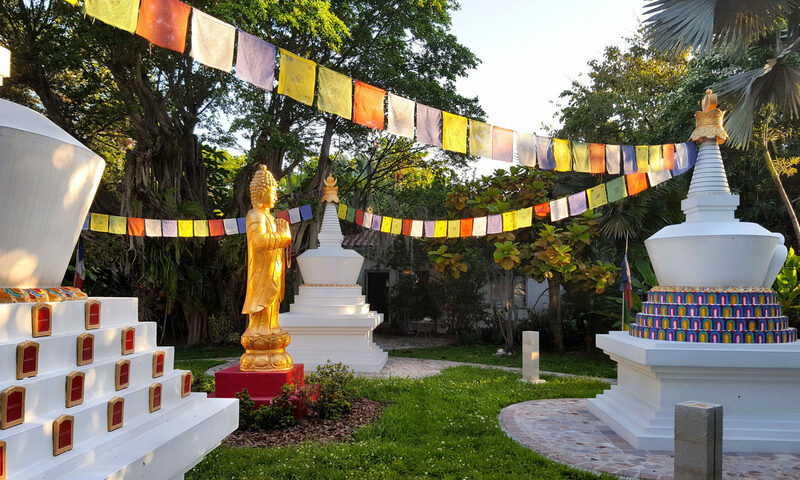 Open Awareness Buddhist Center, also known as Kagyu Shedrup Chöling, is a Tibetan Buddhist center of the Kagyu tradition. 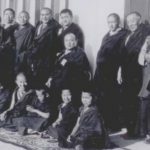 The story of Tibetan Buddhism begins more than twenty-five hundred years ago in India, when a young noble named Siddhartha, a member of the Shakya clan, set himself the task of solving the problem of human suffering. 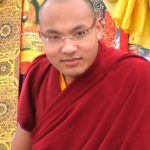 Soon after attaining enlightenment, Buddha Shakyamuni began teaching, sharing his insight with those around him who asked for guidance. 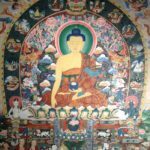 For more than forty years, he taught extensively throughout India, and after his passing his disciples began to preserve in writing the methods and practices he had given them. 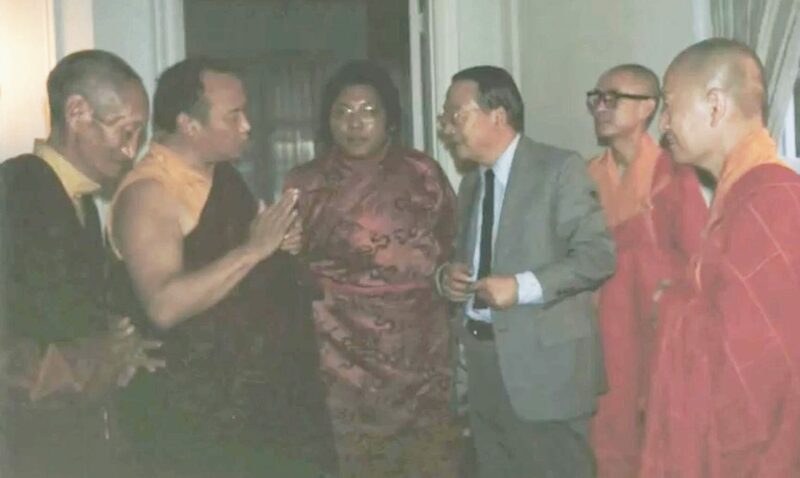 Over the centuries, the Buddha’s teachings spread to many neighboring countries, including Tibet, within whose isolated mountain monasteries the precious teachings were cultivated at an unparalleled level of profundity by successive generations of enlightened masters. 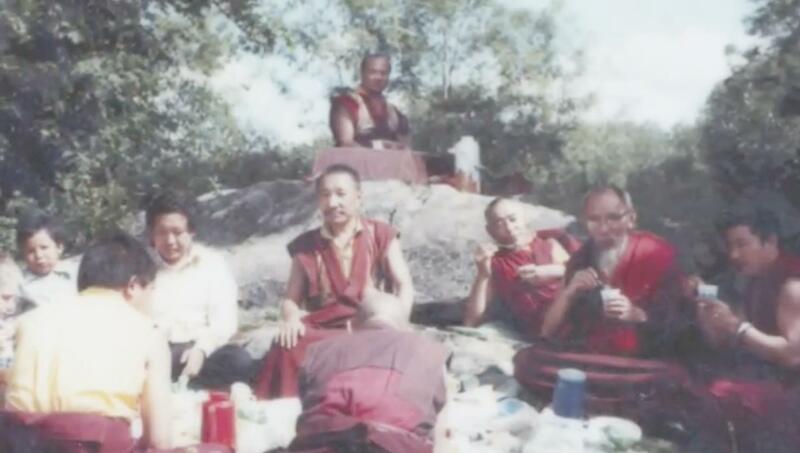 These masters typically passed their entire store of wisdom to their most promising disciples, who in turn perfected the practices and passed their attainments on to the next generation of students. 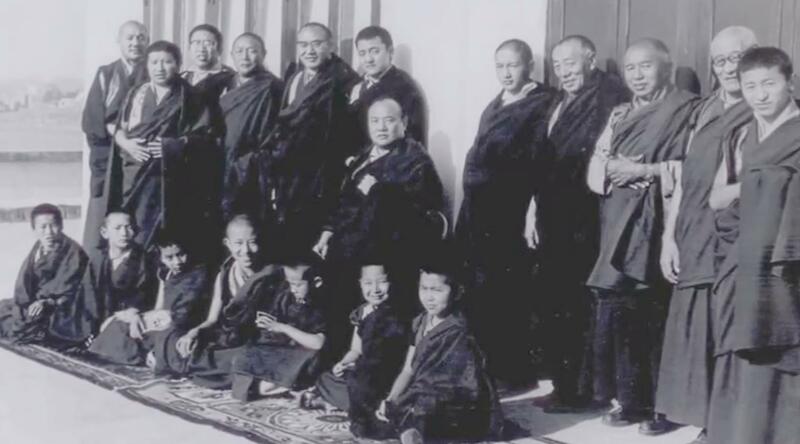 In this way, a variety of closely related schools, or lineages, of Buddhist practice sprang up across Tibet. 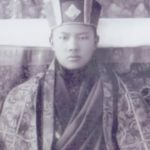 Within the context of Tibetan Buddhism, the importance of lineage extends far beyond the ordinary sense of a particular line of inheritance or descent. 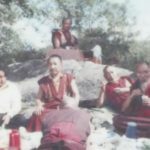 Lineage is a sacred trust through which the integrity of Buddha’s teachings is preserved intact as it is transmitted from one generation to the next. 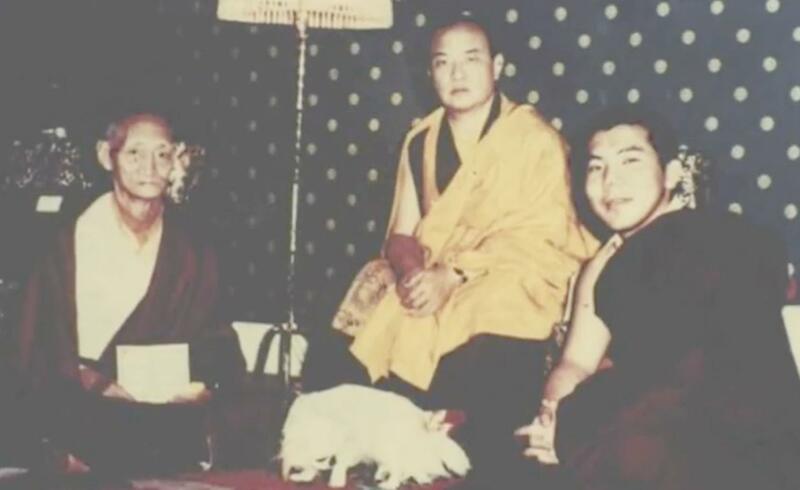 The vital link through which the spiritual tradition is nourished and maintained is the profound connection between an enlightened master and perfectly devoted disciple. 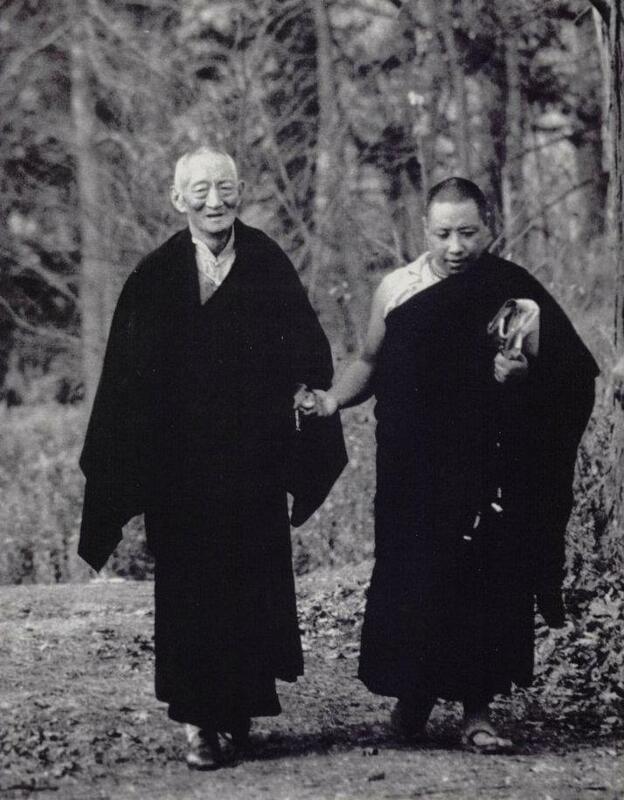 The master-disciple relationship is considered extremely sacred by all the major schools of Tibetan Buddhism. 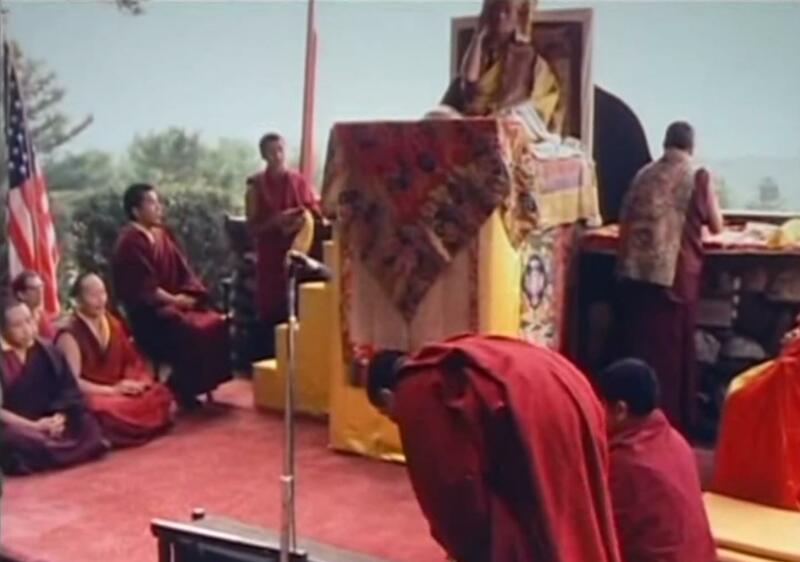 The various lineages of Tibetan Buddhism share many teachings in common. 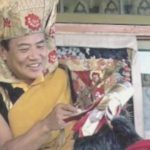 Over time, however, each has developed a different emphasis or approach, according to the particular insight or method of its founding masters. 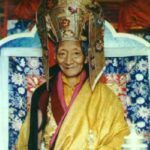 The Karma Kagyu lineage gives central prominence to the role of secret meditation instructions passed orally from master to student. 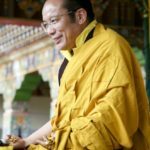 With great reverence, the unbroken succession of masters who have preserved and transmitted the instructions of the Karma Kagyu tradition is referred to as the Golden Rosary. 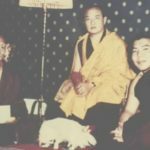 The roots of the Karma Kagyu lineage extend back to tenth-century India, where the enlightened yogin Tilopa received the core teachings directly from the primordial Buddha, Dorje Chang. 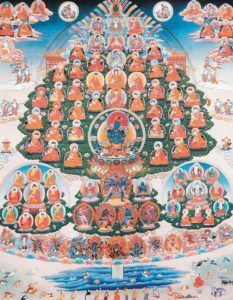 Tilopa transmitted the teachings to the scholar Naropa, who had resigned as abbot of lndia’s most prestigious Buddhist university expressly to follow his master, Tilopa. 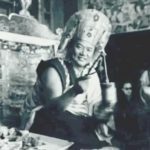 These instructions were carried intact into Tibet by Marpa, who made three arduous journeys across the Himalayas to receive vajrayana teachings from Naropa and other teachers, which he subsequently translated into Tibetan. 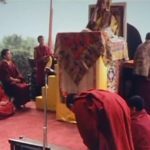 Marpa passed the lineage to Milarepa, perhaps the most beloved of Tibet’s saints, who expressed the essence of the transmissions in a series of songs recited in Tibet to this day. 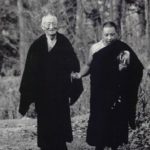 Milarepa passed the teachings to Gampopa who had been prophesied by the Buddha to be the guardian of the teachings on the ultimate nature of mind. 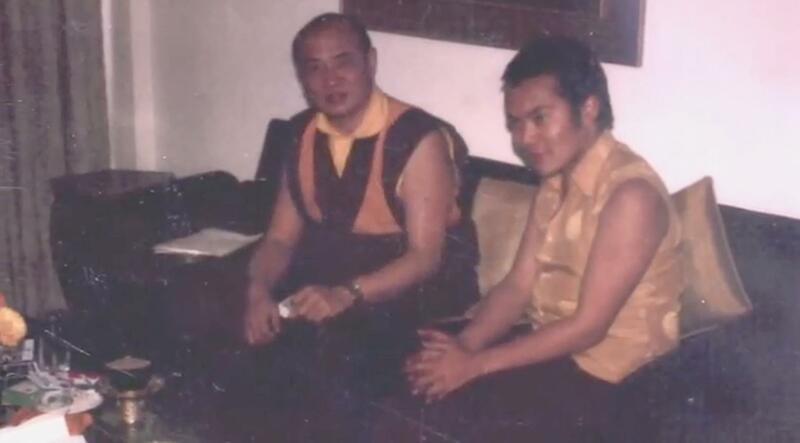 Gampopa, in turn, passed the lineage to Dusum Khyenpa, who became known as the first Karmapa. 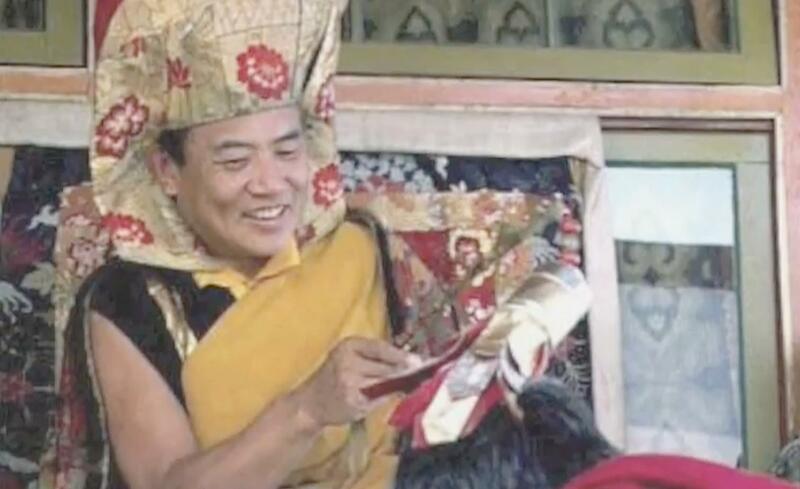 Shortly before his death, Dusum Khyenpa entrusted his closest disciple with a letter describing the conditions under which he would be reborn in order to continue his efforts on behalf of all sentient beings. 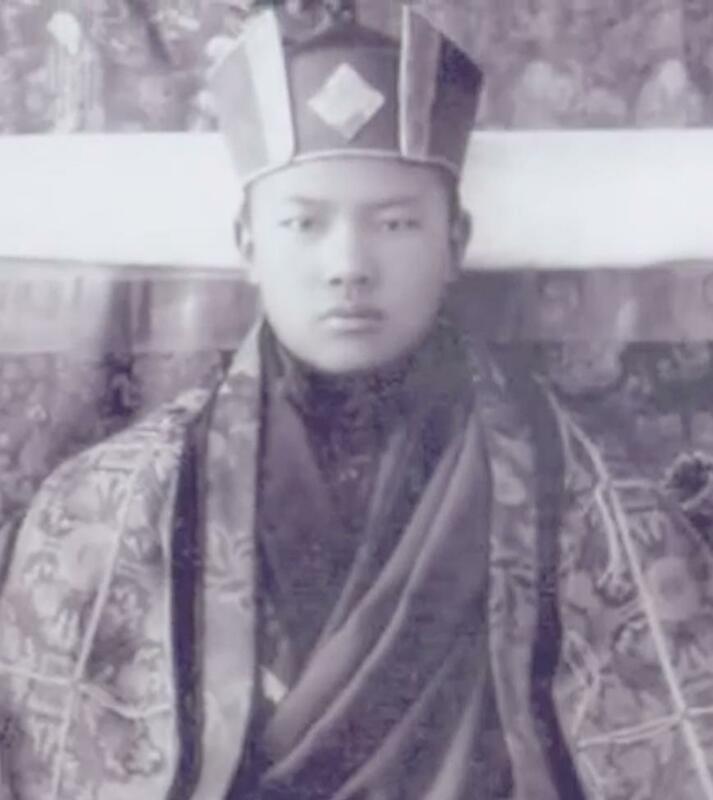 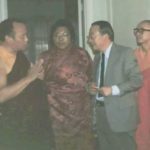 In due course, his reincarnation was discovered in precise accordance with the details of the prediction letter, and formally enthroned as Karma Pakshi, the second Karmapa. 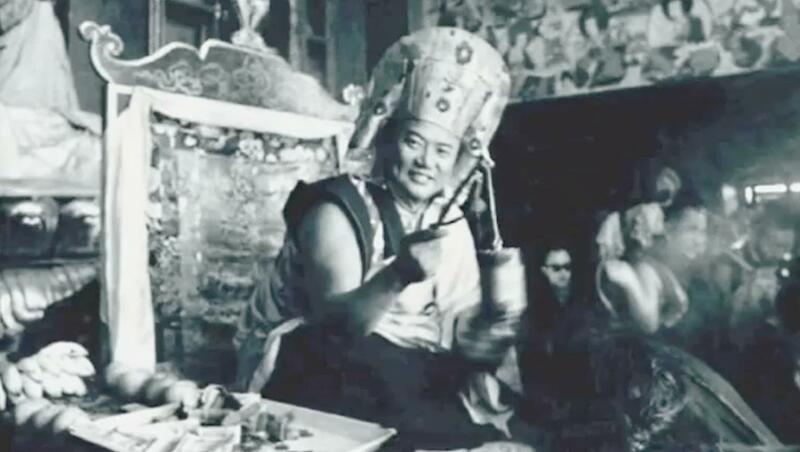 Historically, Dusum Khyenpa was the first lama recognized to intentionally reincarnate as a particular master. 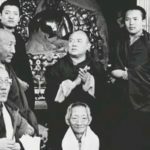 in all of his successive incarnations, the Karmapa has served as the primary source of refuge for all followers of the Karma Kagyu lineage. 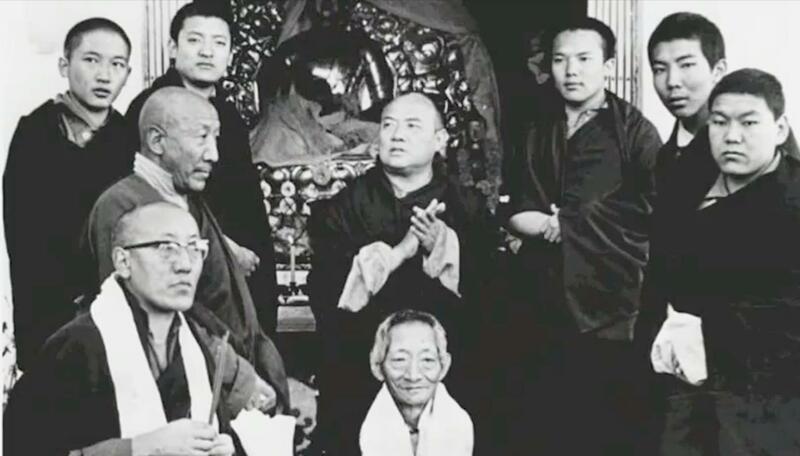 As the central teacher of the Kagyu lineage, he also ensures that the Kagyu teachings are transmitted in their entirety and preserved for future generations. 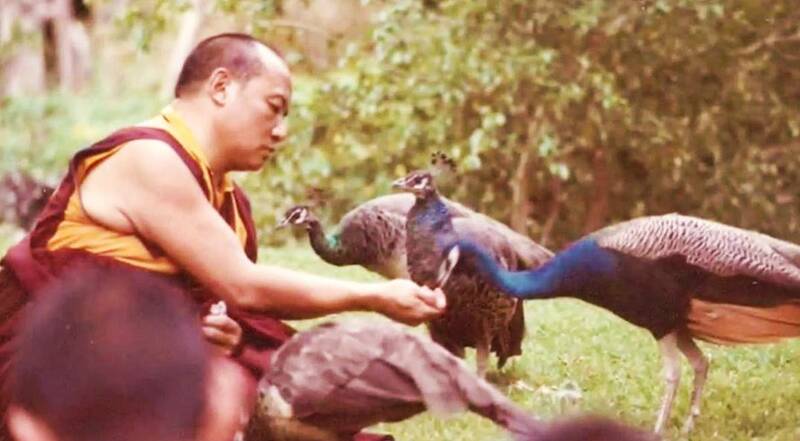 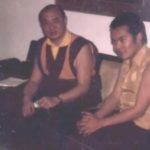 The Karmapa is an extraordinary individual, whose life in itself may be seen as a profound teaching. 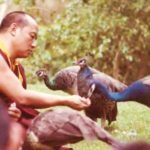 He clearly manifests the potential inherent in all living beings to fully develop the qualities of perfect wisdom, unconditional love, and all-pervasive compassion. 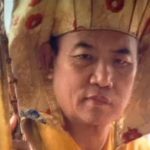 Moreover, he shows us the perfection of the master-disciple relationship in the sacred bond formed with his closest disciples in each incarnation, who become his guardians and teachers when he next takes birth.